Centralia, WA. – February 21, 2007 – Centralia Outlets announces the Grand Opening of the Nike Clearance Store located at 140 W. High Street. The grand reopening ceremony will take place on Friday, March 9, 2007. Ribbon cutting is scheduled for 9:00 am and will include refreshments, discounts, and drawings. The Nike store, which is over 10,000 square feet in size, located on the east side of I-5, (across from VF Outlet), will carry a wide selection of Nike branded footwear, apparel and equipment from past seasons, but will focus on end of season product. Ed Stair, GM of NikeFactoryStores said, “We will have a fabulous assortment of Nike men’s, women’s, children’s product and equipment at a great value. We are staffing the store with people from the area and look forward to being part of the community.” Nike has hired approximately 30 people to staff the store. NIKE, Inc. based near Beaverton, Oregon, is the world’s leading designer, marketer, and distributor of authentic athletic footwear, apparel, equipment and accessories for a wide variety of sports and fitness activities. The Centralia Outlets is currently undergoing a major renovation, which is transforming the center to an upscale look and enhancing the shopping experience for its customers. The northwest design incorporates stone columns, board-and-batt siding, and gable roofs. The first phase of redevelopment included converting an existing building, which was enclosed, into new exterior storefronts. A walkway and exterior courtyard was created with new lighting and seating areas. Sidewalks were widened, additional landscaping created and beautiful restroom facilities added. Phase Two is now under construction and will be completed within approximately six weeks. Then work will move to the east side of the freeway and renovation will take place on the building housing the new Nike store, as well as, Paper Factory, Lane Bryant Outlet, Cowtown Boots, Helly Hansen and Quizno’s. Construction will continue until all buildings have been remodeled. The anticipated completion date for the entire project is late 2007. All stores remain open and continue to do business throughout the renovation process. The outlet center is located on Interstate 5 at Exit 82. Beginning March 1, the hours of operation will be 9 – 8 p.m. Monday – Saturday, 10 – 7 Sunday. Currently, winter hours are in effect which are: 9 – 6 Monday through Thursday, 9 – 8 Friday & Saturday, and 10 – 6 on Sunday. 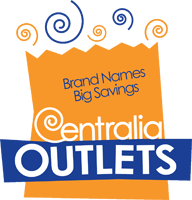 For more information call (360) 736-3327 or visit www.centraliaoutlets.com.